Mike Kelly of Lochee Harp JFC. A Dundee junior football club has denied claims its supporters engage in sectarian or thuggish behaviour – because most of its handful of fans are pensioners. 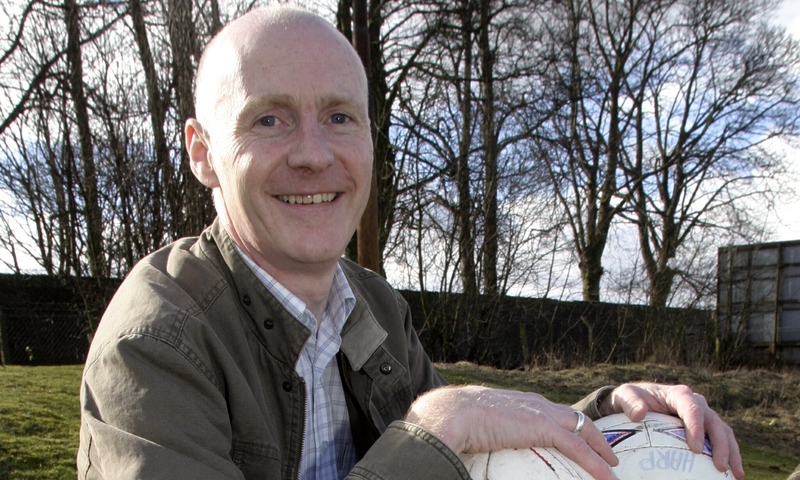 Mike Kelly, a former player, coach and manager of Lochee Harp, was speaking at a meeting of Dundee City Council’s development management committee where plans for two major new car dealerships and a sports and community hub were approved unanimously, subject to conditions. The development will see BMW/Mini and Land Rover/Jaguar dealerships created on land between Lundie Avenue and Kings Cross Road alongside a new 3G football pitch and clubhouse for Lochee Harp and St Francis Amateur Boxing Club. The planning application was approved unanimously following 90 minutes of debate in the city chambers and despite claims by one Beechwood resident that granting permission would mean a “living hell” for him and his neighbours. But Mr Kelly, representing Lochee Harp, said allegations of any sectarian language or violence was completely false. He said: “Lochee Harp’s average crowd is about 35 and the average age of those who come to junior football games is over 70. Mr Kelly said he could only remember once incident – from around 1982 – where an arrest had been made at a Lochee Harp game. He added the development will help promote sport in the Lochee area, while Sean McMahon from St Francis Boxing Club said the clubhouse would be run as a charity so any profit made after running costs would be ploughed back into it to help promote sport. Concerns about the potential environmental impact of the two car showrooms were raised by Mr Elder and Mary Harwood from Dundee Miley Group. One of the showrooms will back on to the nature trail but Chris Clark, group managing director for the John Clark Group, which will own both showrooms, said the development will not impact wildlife. He added that wastewater would be diverted to drains on Kings Cross Road rather than on to the Miley. Mr Clark said the new showrooms would create around 50 jobs and employ 140 people in total. John Clark already has eight sites in Dundee. “We’re excited about our plans for the city,” Mr Clark said.